A music professor told me once that a good rule of thumb in recording is to not mix digital midi instrumentals with real, acoustic sounds. It might be a hard trick to get right, but if there was one to do it, it’d be Lone. The unofficial master of mastering electronic, Lone has the sensitive ear for balance that it requires to fuse these sonic elements in an effective way. Though the sound of Washed Out is often as rhythmic as lots of electronic music, their chillwave and sample-heavy tracks are distinctly more analog in comparison. 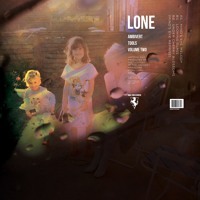 But, in Lone’s remix of their summer single “Hard to Say Goodbye,” he embraces the ambient percussion rather than trying to drown it in midi, glittering the melody with synths and allowing the piano chords shine. Skip to the 3-minute mark to hear that magic in its full glory – and enjoy.